Marquees are suitable all year round! With over 38 years of experience in designing, organising and delivering stunning winter & Christmas marquees, we can help you to create your perfect seasonal party. A marquee isn’t just for summer, they can be used all year round to create exciting and very creative party spaces. There is something wonderful about being warm inside when it’s cold outside and our specialist, heated, winter & Christmas marquees provide the perfect contrast to a frosty backdrop. Extremely effective heating – comfortably dance the night away in a cocktail dress! 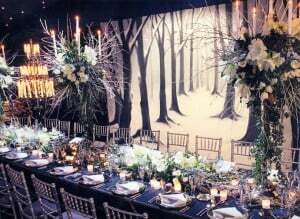 Our team will listen to your ideas and aspirations and then create marquee plans and styling options especially for you. We have a flexible system of frames and panels, plus bespoke tailoring and special additions that can be combined to create the ideal space for you. 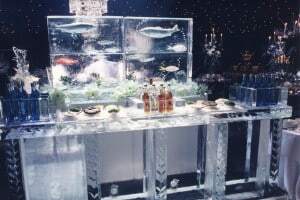 Whether you’re hosting an autumn anniversary, Christmas gathering, New Year’s celebration or winter birthday or we can deliver something very different and special to delight and thrill. Call 01372 459485 to discuss your plans with our friendly team. We make planning your marquee effortless, leaving you free to concentrate on enjoying your party with your guests. 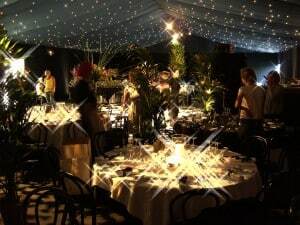 Our Complete Service offers a seamless end-to-end solution; from your marquee, flooring, linings, lighting, star cloth, tables, chairs, catering, Christmas trees and decorations, DJ, music, heating, walkways, electricity generator and luxury loos, we will deliver a 5 star service that you can rely on. All you have to do is approve the plan and we’ll manage the rest.